Tap into the power of visual communication with Lucidchart. Add a diagram to any Jive content for instant impact, or share a blank canvas to launch a virtual whiteboarding session. If you already use Jive-x or Jive-n, just install Lucidchart from the Jive Apps Market. 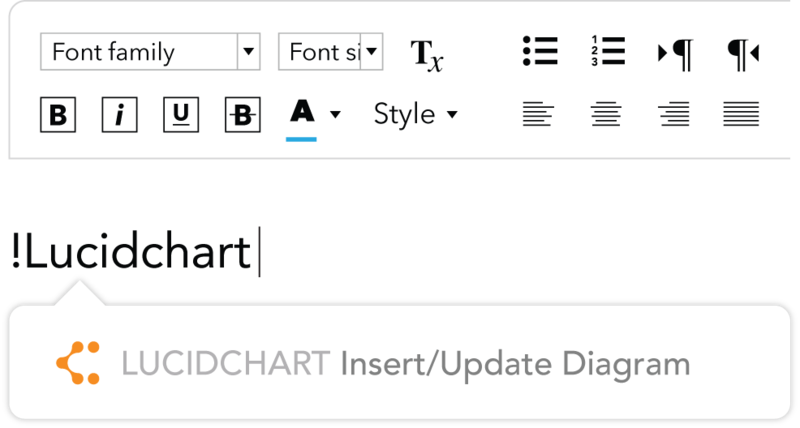 Then type “!” on any Jive page and choose “!Lucidchart” to insert a saved diagram or create a new one. Lucidchart also integrates with a variety of other platforms, including G Suite, Slack, and the Atlassian suite. Lucidchart’s rich viewer preserves the interactive elements of your diagrams in Jive, allowing others to click through mockups or view your diagram as a presentation. Editing diagrams is just as easy. 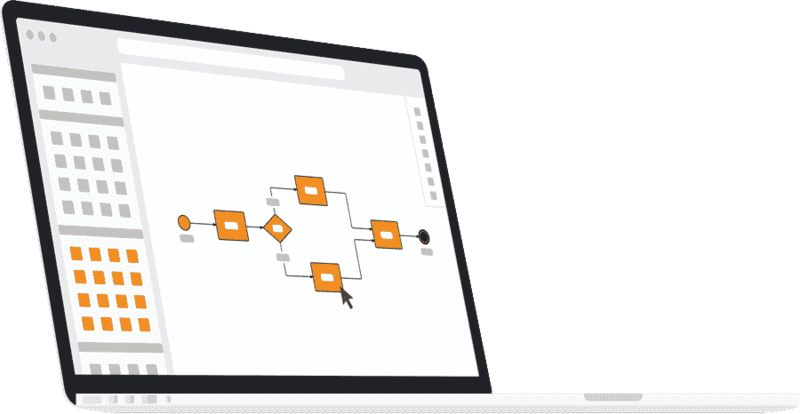 Simply drag and drop to build network diagrams, UML diagrams, org charts, flowcharts, and more. Lucidchart makes it easier to interact with your colleagues whenever and wherever you want. Collaborate on a diagram in real-time while exchanging ideas over video chat, or tag someone in a comment. 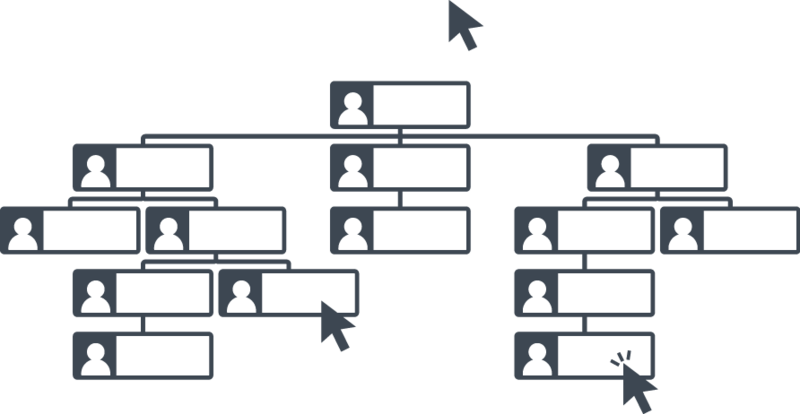 Lucidchart gives you full control over who has access to which diagrams. Set specific permissions for each user, including view-only, edit, and document ownership.